Perhaps no single book testifies to the vast amounts of poetry produced and consumed in the 20th-century U.S. more than Granger's Index to Poetry. Since its first edition in 1904, Granger's has tracked and charted only a fraction of America's total poetic activity—mostly poetry in books and anthologies—but what a fraction it's been. That 1904 edition included over 30,000 titles culled, editor Edith Granger explained, from "the contents of three hundred and sixty-nine volumes, comprising standard and popular collections of poetry, recitations (both prose and verse), orations, drills, dialogues, selections from dramas, etc." By 1918, Granger's would list 50,000 titles. By 1940 the Index would list 75,000 titles and bill itself as a "Practical Reference Book for Librarians, Teachers, Booksellers, Elocutionists, Radio Artists, Etc." (Note how "Literary Critic" is not on that list.) 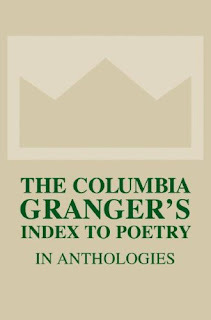 Now available in electronic formats, The Columbia Granger's Index to Poetry is in its 13th edition and offers users access to 250,000 full-text poems and 450,000 citations organized under 6,000 subject headings. 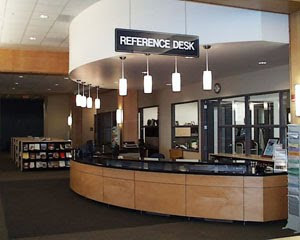 For over a century, Granger's has been a standard reference book on the shelves of libraries small and large across the U.S., but as far as the P&PC Office can tell, there is no history of the book, nor much in the way of information about the woman who lent the book her name. We're keeping our interns busy researching those matters, but we also had a chance to catch up with Tessa Kale, current editor of the Index and author of the novel Daphne Underground. Here's what she had to say. P&PC: What's the job description for "The Editor" of The Columbia Granger's Index to Poetry? Tessa Kale: The tasks are too numerous to risk boring you by enumerating. TK: Keeping vigilant about the best new anthologies coming out is impor- tant when we're not actually indexing them for the next print edition. Then, in order to do that indexing, we have to have all the right machinery in place, which can also handle the work that is done for the web site: this involves a decided slice of time for development of editorial management systems. For the web site, full text of the poems must be found, permission sought, and keyed in XML, and commentaries of the poems and biographies of the poets must be edited with links added throughout to all the many wonderful features on the site. P&PC: Your talk of "management systems" and "XML" makes me think Granger's has changed a little bit over the years? TK: The web site is the biggest change. Before that, there were CDs in that time of transition before the web became the way of the world. P&PC: I write poems for the local newspaper. 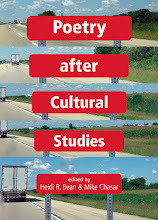 How can I get my poems indexed in Granger's? TK: Sorry, our business is to index anthologies. P&PC: That hasn’t always been the case, has it? TK: No, for a time we also indexed poems in Collected and Selected Volumes. It was an additional enhancement we thought we'd try out. P&PC: Why stick to anthologies? TK: The idea is to help people locate a poem they are looking for, though they may, for instance, not remember the title or the author, but have a sure idea of the first line. So the poem they've got in mind is probably already well-known. That's the business of anthologies—gathering up the best, according to the editors, and making the poems known to an ever-growing readership. P&PC: How does one measure the success of something like Granger's? TK: Most likely the same way success is measured elsewhere in publishing: the financial gain. P&PC: How many copies of the latest edition (the 13th) have been sold? TK: 2,636 copies so far. P&PC: How many subscribers does the electronic version have? TK: We have approximately 500 subscribers through our own platform and reach an additional 100 subscribers through the Ebsco host. It's a little tough to gauge just how many people we reach at major public library systems. New York Public Library, the National Library of Singapore, Chicago Public Library, and the Auckland City Public Library are examples of large subscribers. In 2008, we recorded approximately 237,000 sessions. So far this year, we've recorded over 200,000 sessions. Our daily average has increased from 650 sessions a day to 733. P&PC: Who was this Edith Granger who got the whole thing rolling? TK: Edith Granger was a stunning, bespectacled redhead who, after graduating from Smith College, worked in a Chicago bookstore and hit upon the brilliant idea of indexing the titles and first lines of poems—for which librarians all over the country will be forever deeply grateful. P&PC: A stunning, bespectacled redhead? TK: It's nice to think so. I hear "Edith Granger" and I think Rita Hayworth, with glasses.